QODBC stopped working and I get IP errors. All fixes that I can find on support pages requires that QRemote Server is started. QRemote Server will not start. I get the error "Unable to Bind to Specified IP Address". You can change it from File >> Setting >> Advanced Tab >> Select IP Address Configuration & Port Configuration to "Default". Please restart QRemoteServer after changing IP Address & Port. The change will affect after the restart of QRemoteServer. 2) Make sure IP address is correct and port is available and not blocked by any other application. 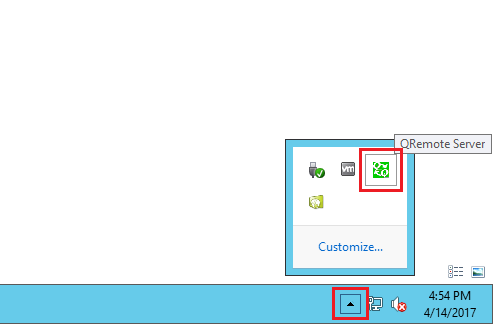 4) Start QRemote Server from the Windows Start menu. 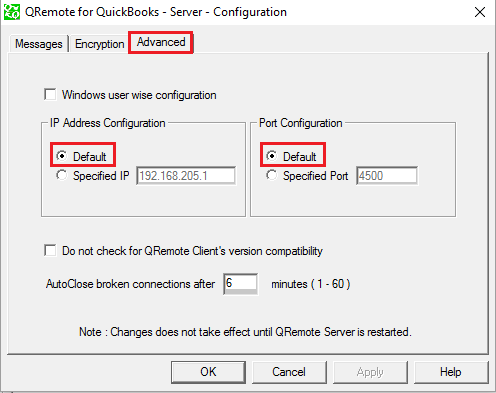 5) Make sure QRemoteServer is running at specified IP Address & Port. You can find QRemoteServer from the system tray. Please note down the IP Address. I am getting this error after activating a trial of the full QODBC driver. I am not seeing any instances of QRemote.exe running. Should a reboot of the system be required?